How to display your image galleries as carousels in Customizr Pro ? 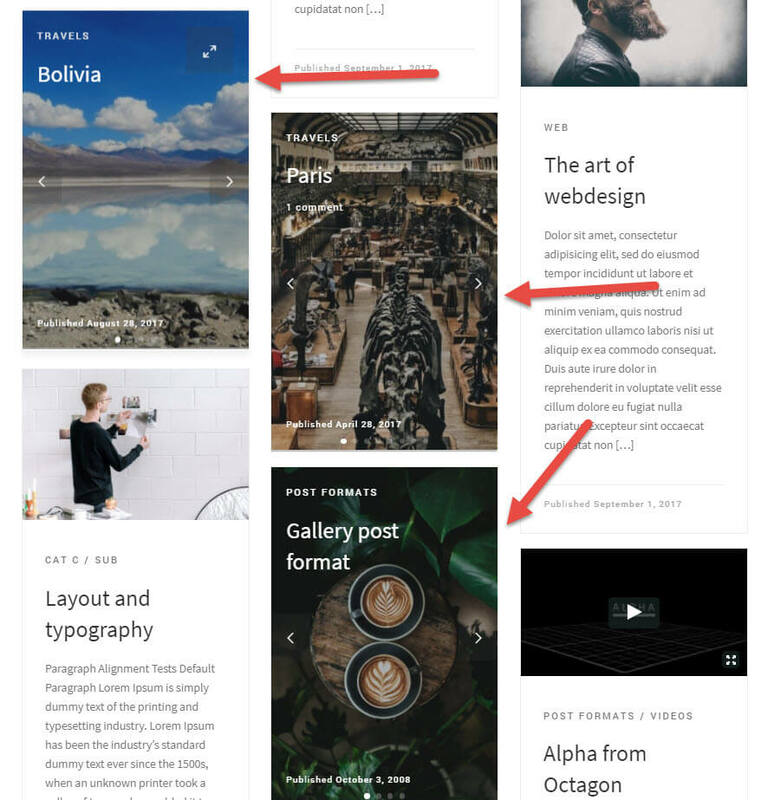 If you display galleries in your blog posts, you'll be interestered by this way to display your images as carousels on home or wherever you site displays a list of posts. 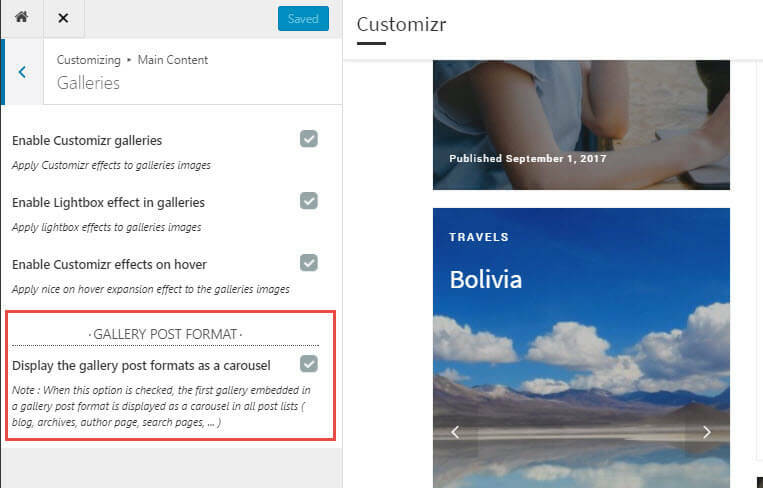 Update for WordPress 5.0 : when using the new WordPress editor ( since WP 5.0 ), your gallery should be embedded with the Classic Editor block to be displayed as a carousel, and not with the Gallery block. WordPress is currently working on a fix for this. This type of carousel is created automatically with the first gallery embedded in a post for which you've selected the Gallery post format. The example below illustrates how it looks in a grid of posts ( masonry type ). You can see it live on the demo site. This option is available with the modern style of Customizr Pro. Select the gallery post format for your post. 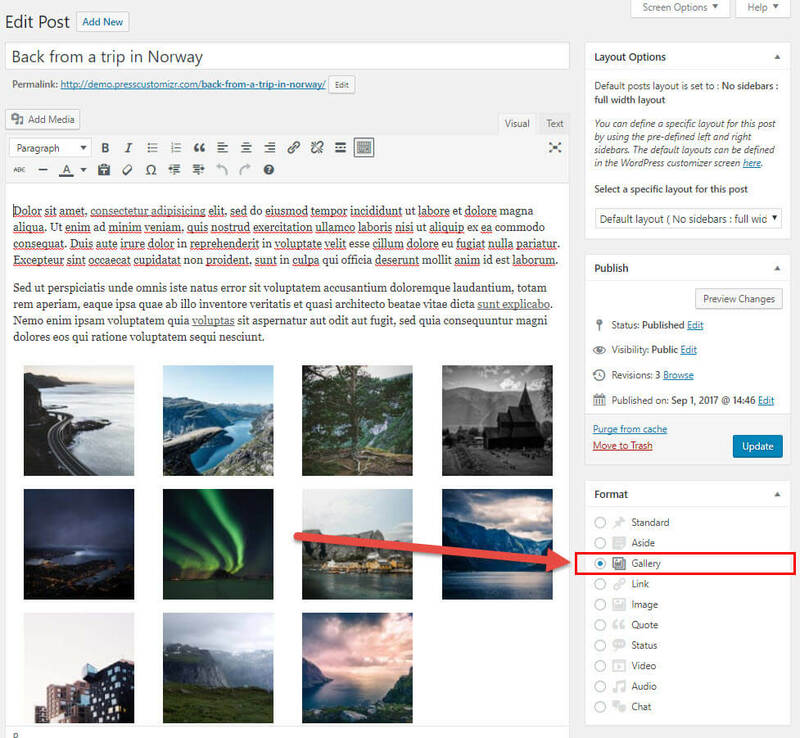 When editing a post, select the gallery post format in the format meta box. The theme will create a carousel for your first embedded gallery in the post. [Pro] How to enable the infinite scroll in post list ?